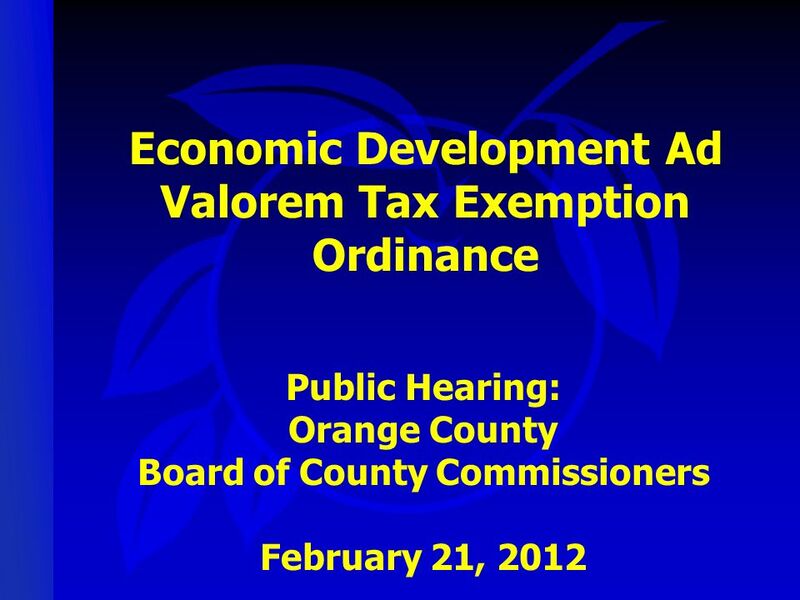 Economic Development Ad Valorem Tax Exemption Ordinance Public Hearing: Orange County Board of County Commissioners February 21, 2012. 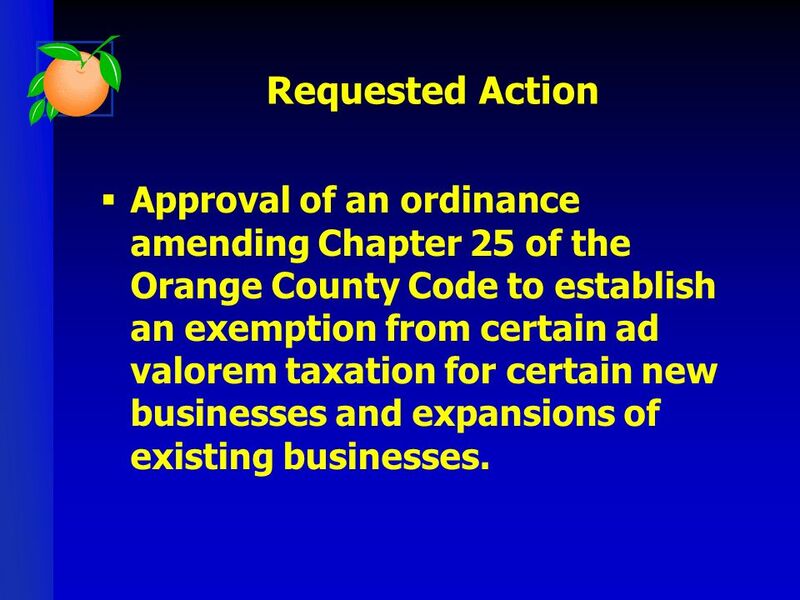 12 Requested Action Approval of an ordinance amending Chapter 25 of the Orange County Code to establish an exemption from certain ad valorem taxation for certain new businesses and expansions of existing businesses. 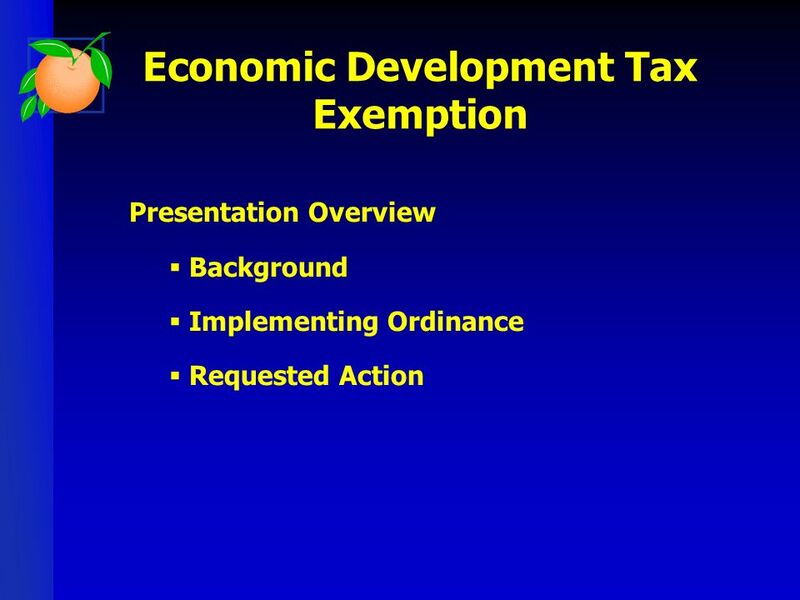 Download ppt "Economic Development Ad Valorem Tax Exemption Ordinance Public Hearing: Orange County Board of County Commissioners February 21, 2012." Fort Myers/Lee County Enterprise Zone. Enterprise Zone Areas targeted for economic revitalization Areas targeted for economic revitalization Prior to. 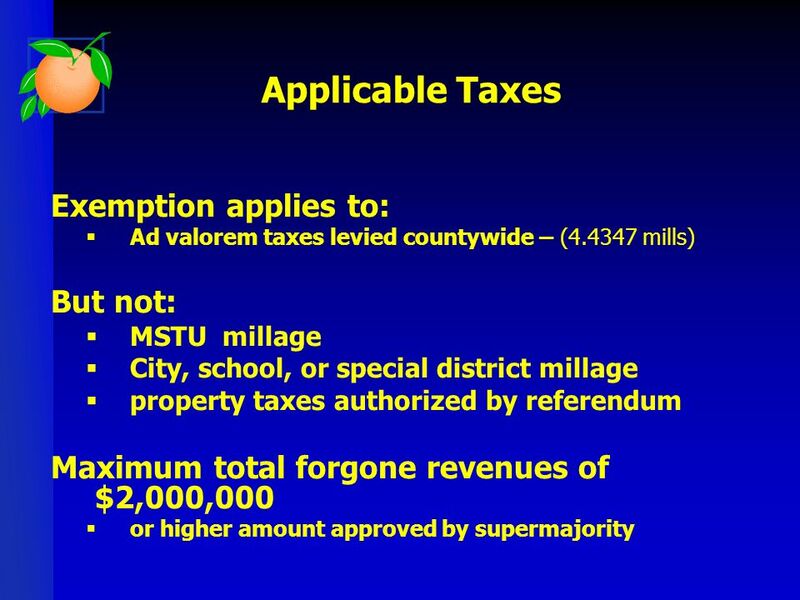 Proposed Property Tax Exemption Presentation to the Orange County Board of County Commissioners December 6, 2011. 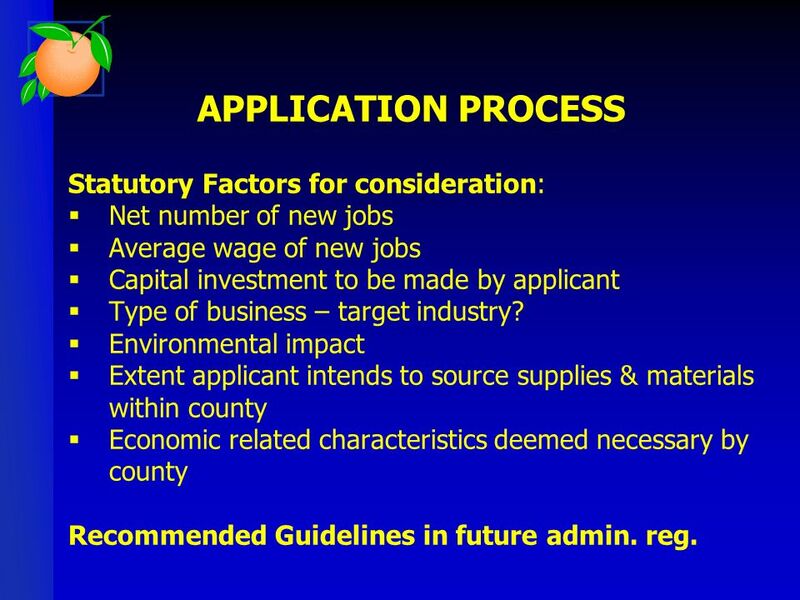 Property Tax Abatement For Job Creation Presentation to the Orange County Board of County Commissioners September 20, 2011. Fiscal Year Budget Overview Citizen Academy September 3, 2013 Citizen Academy September 3, 2013. Proposed Des Moines Airport Authority Council Workshop – October 25, 2010. 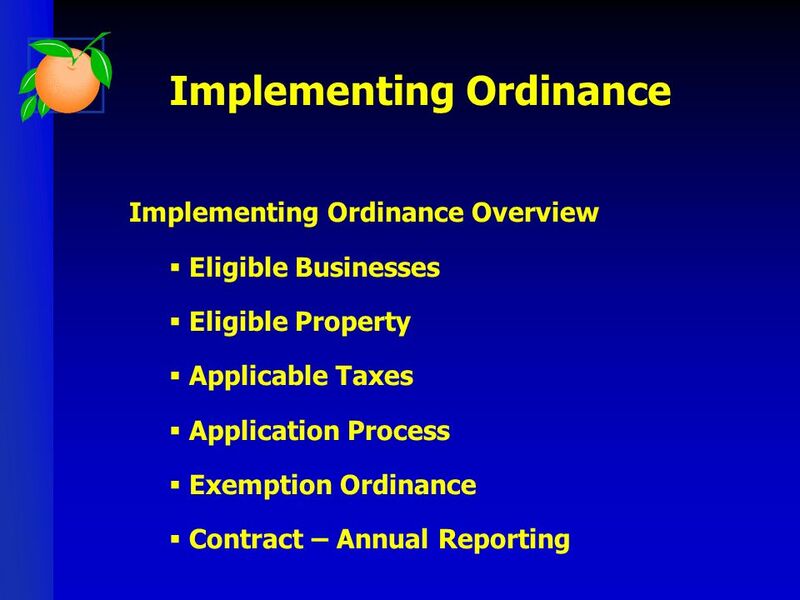 Pine Hills ROCC (Redeveloping Orange County Communities) Brownfield Designation Environmental Protection Division District 2 and 6 April 23, 2013. 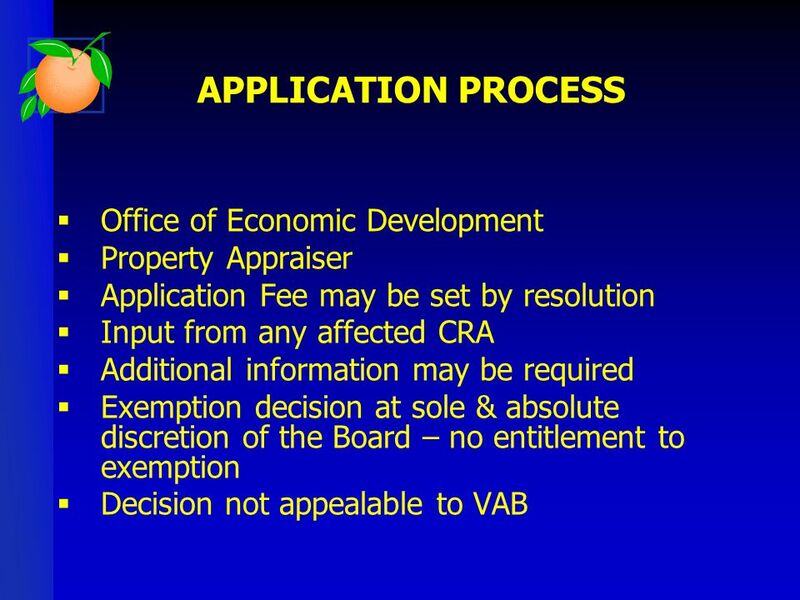 Administrative Foreclosure A RECOMMENDED MECHANISM TO ADDRESS BLIGHTED AND ABANDONED PROPERTIES WITHIN THE CITY OF HALLANDALE BEACH 1. 1. 2 Municipal Management Districts (MMD) are special districts that are: Self governed, but must be approved by the host municipality; and have the. 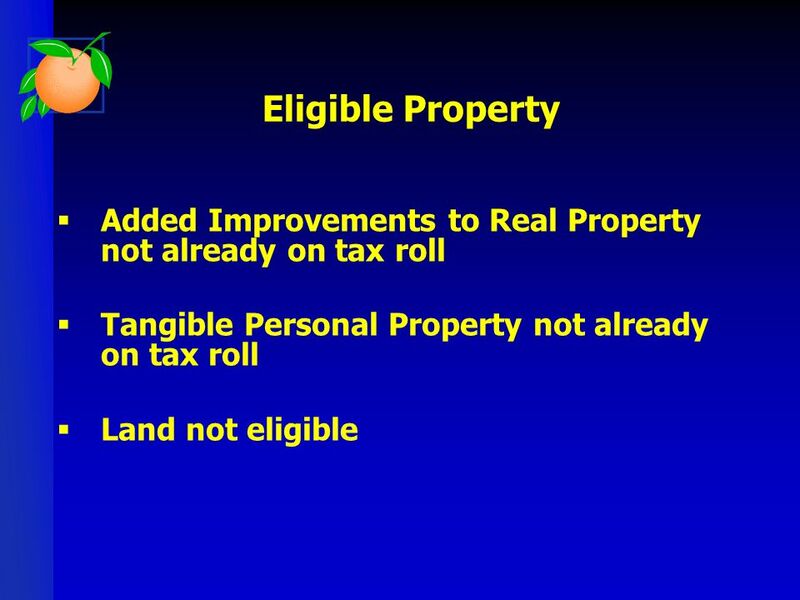 Property Tax Reform AMENDMENT 1 IMPACT and AMENDMENT 5 “Tax Swap” Central Florida School Boards Coalition August 4, 2008 Honorable Bill Donegan, CFA Orange. 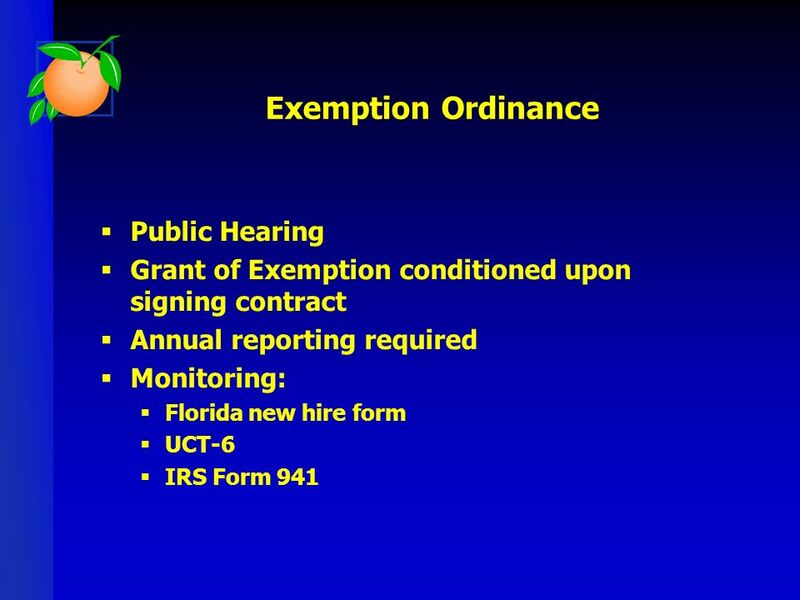 2013 Public Law Changes House Enrolled Act 1276 Public Law 6 Amends IC and Township Board Meetings Effective. 2016 Charter Review Commission Discussion Orange County Board of County Commissioners January 6, 2015. 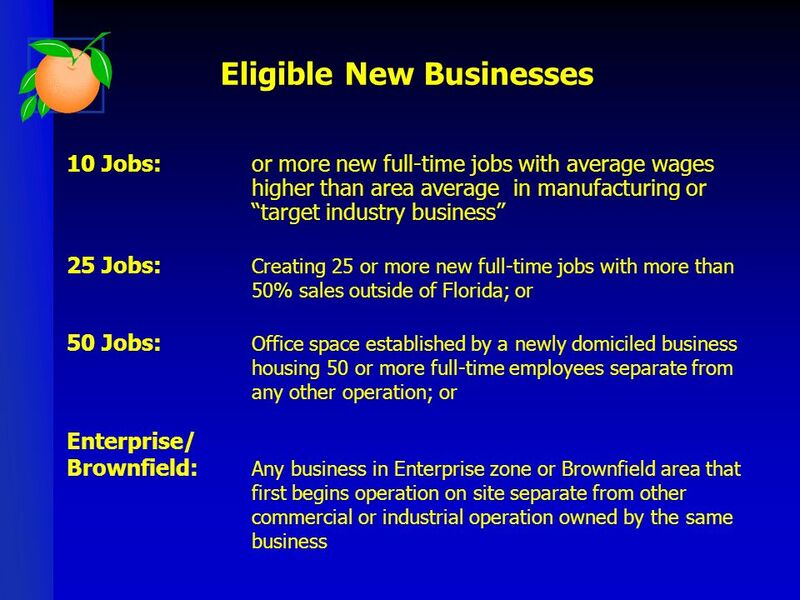 Northeast Florida Brownfields Workshop Brownfields Redevelopment Incentives. FY12 Budget Development Alachua County Board of County Commissioners April 5, 2011. Robert J. Eger III.  How can the Current Collins Institute Research Inform Tax & Revenue Policy? 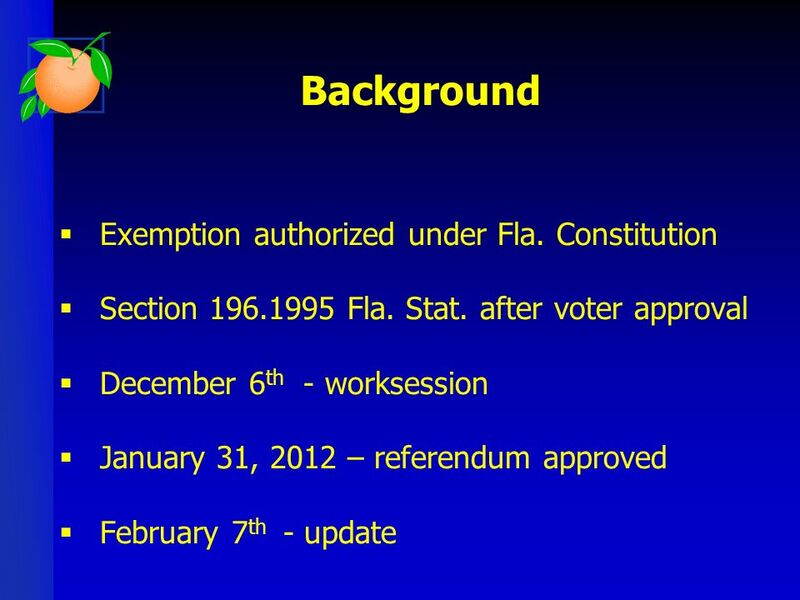 Investigate Proposed Policy Changes Affecting Florida. Albemarle County, Virginia Office of the County Assessor.